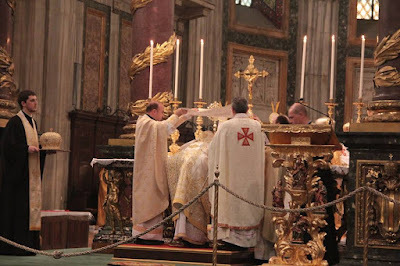 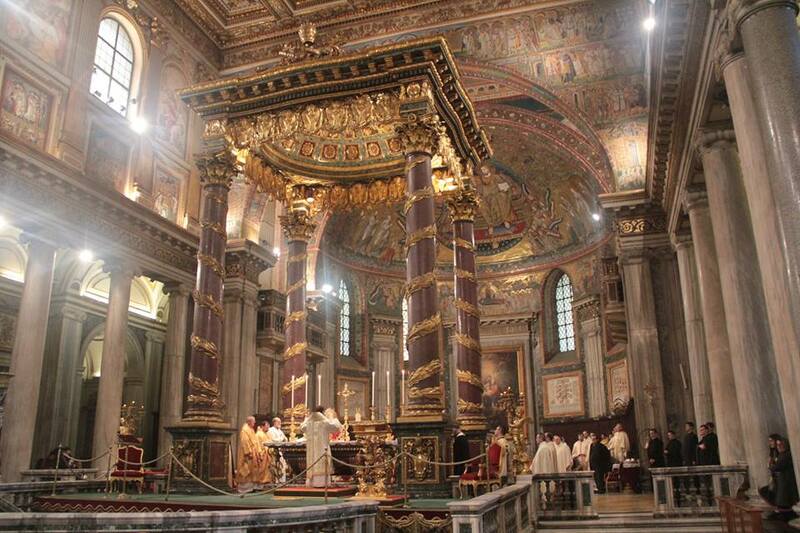 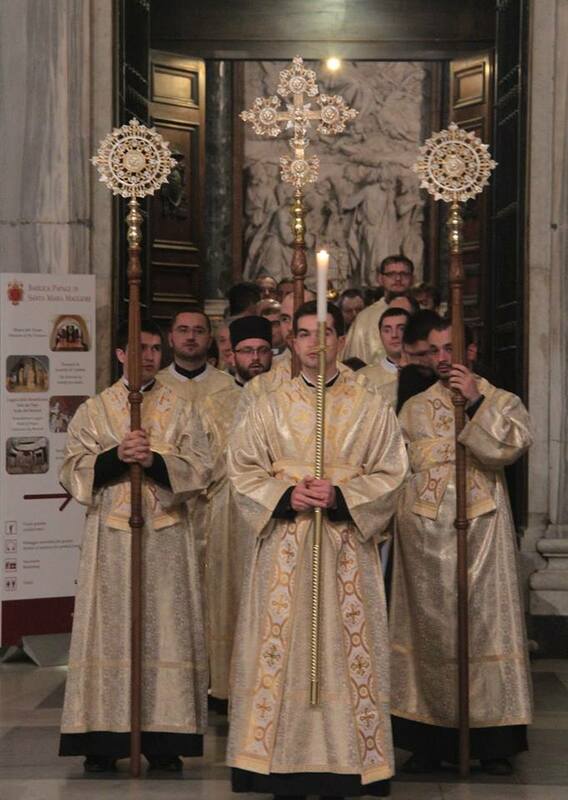 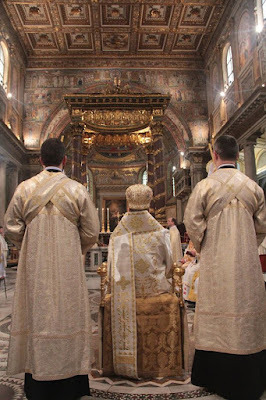 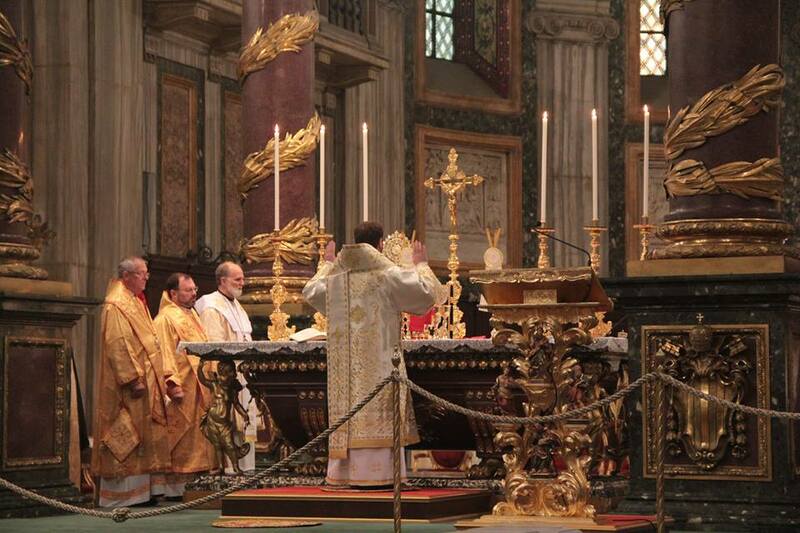 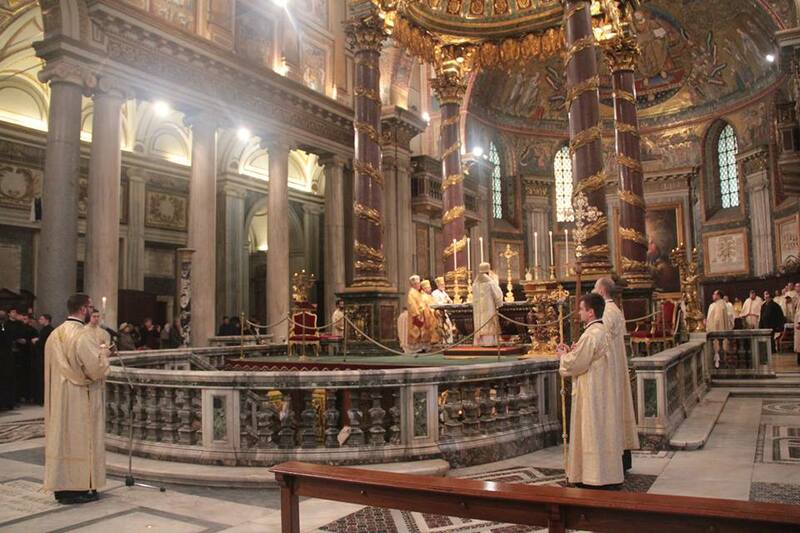 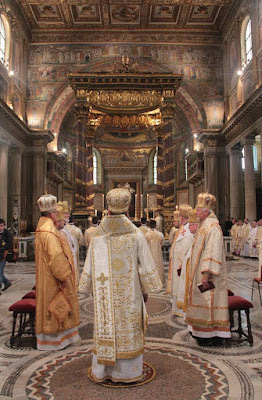 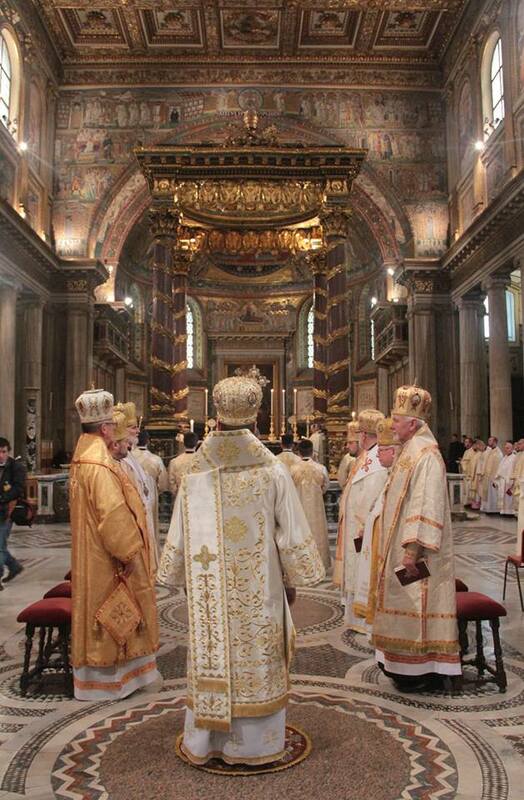 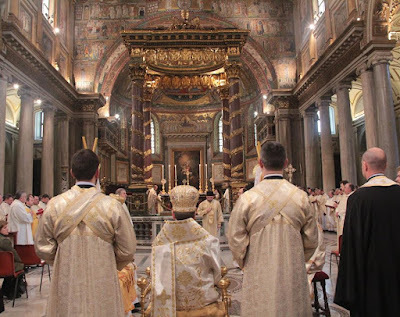 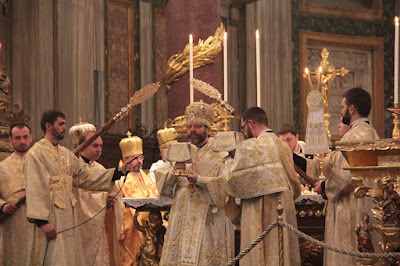 I recently published some photos of a hierarchical Divine Liturgy celebrated by Sviatoslav Shevchuk, Major Archbishop of Kyiv-Halych and leader of the Ukrainian Greek-Catholic Church, at the high altar of the Roman basilica of St Mary Major. 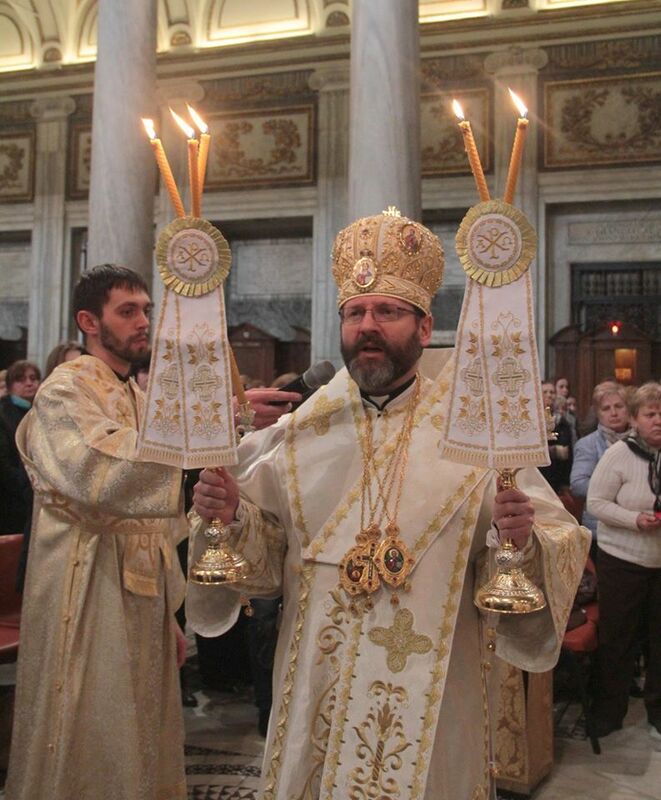 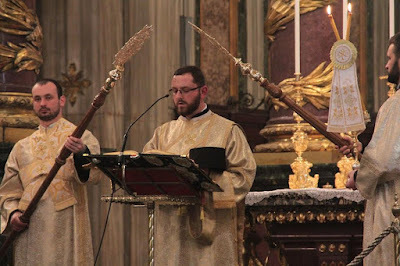 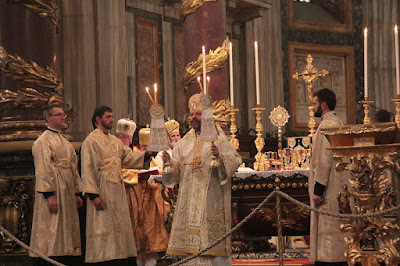 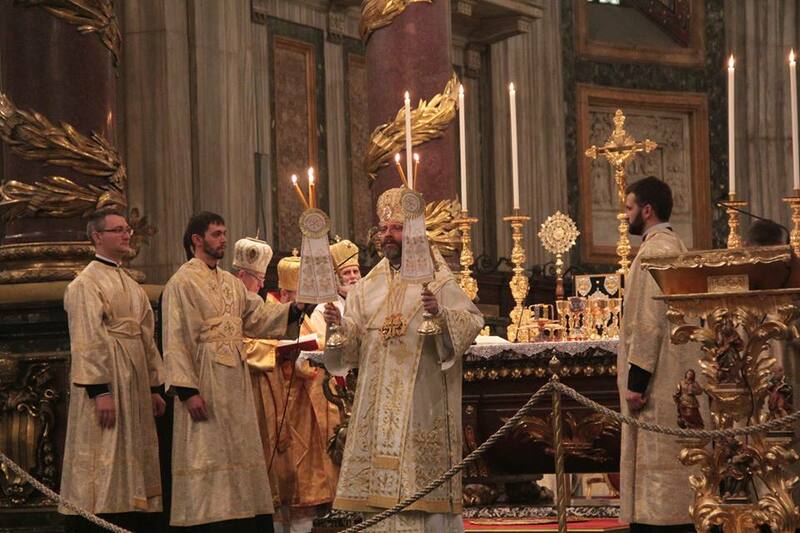 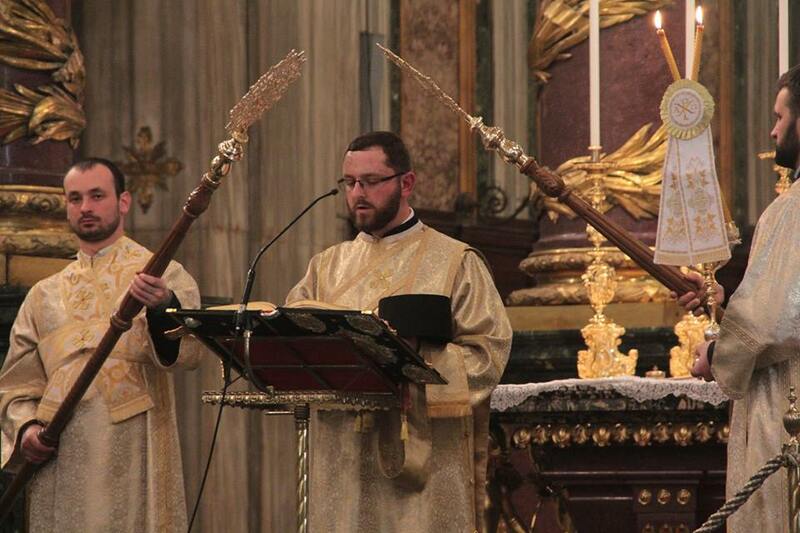 His Beatitude was joined for the liturgy by a large number of concelebrating bishops and priests, and a very large crowd of the faithful; many of the latter were pilgrims visiting Rome together with their bishops, and many were members of Rome’s sizeable Ukrainian immigrant community, who always turn out in force when Archbishop Shevchuk is in the Eternal City. A good friend of mine, Mr Marc Williams, was also present, and since he is a much better photographer than myself, I asked him to share some of his photos with our readers, to which he very kindly agreed.